Steve Payne was an organizer for SEIU for eight years. He is currently a graduate student in anthropology at the University of Memphis. Like many other leftists working in labor or community organizations, I have long struggled to understand the role I can play in building a larger left movement. I have spent nearly a decade organizing for the Service Employees International Union (SEIU) and have only recently caught a glimpse of what a vibrant and popular leftist practice could look like. In this analysis, I take inspiration from Antonio Gramsci’s ideas. He described a “war of position”—a protracted revolutionary effort to create an anti-capitalist hegemony—as a methodology for anti-capitalists in advanced industrial countries. Counter-hegemony is a process, built by concrete effort both through political education and political action. As a labor union organizer, I have become quite skilled at political action, but not at political education. Gramsci himself led education efforts in the factories where he organized. Others, like Paulo Freire, have envisioned a “popular education” that starts with the concrete lived oppression of people under capitalism, but ends with a revolutionary analysis. Myles Horton, in The Long Haul, described periods of upheaval from social movements as “movement times” and the decades in between as “organizational periods.”1 He identified the main work in between movement times as political education—a necessary effort to both prepare for, and to help push, a movement time as far it can go. One alignment of organizations in Minnesota—Minnesotans for a Fair Economy (MFE)—has the potential to be part of such a counter-hegemonic process. On a day-to-day basis, member organizations of MFE organize people to confront their bosses and banks, as well as the corporations holding back their communities. On a sporadic basis, the member organizations come together to create a new narrative of what kind of a world we want. 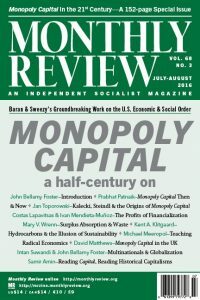 While none of the MFE member organizations can be categorized as revolutionary organizations (or followers of Antonio Gramsci), they have created a shared analysis of how to address social injustices by increasing popular control over the economy. The shared analysis MFE has created has led its member organizations to move away from concerns with specific employers or corporations and towards an understanding that it is a broader economy that drives the actions of each corporation. There exists within this the potential for an even deeper analysis that looks at capitalism as the root problem. It was in a MFE “week of action” that I first began to understand how the process of creating a counter-hegemony might play out in practice. The week started at rush hour in Minneapolis with over 500 people from all walks of life crowding the intersection at Marquette and 6th in front of the Wells Fargo Plaza, backing up traffic throughout downtown. Latino and African immigrants blocked traffic alongside white and black residents. We had arrived at the intersection after marching through downtown and passing the US Bank headquarters. Our plan was to occupy the lobby of Wells Fargo. When we arrived, Wells Fargo had locked all its entrances and exits and sent their employees home early. Myself and the other action captains quickly conferred and decided to take over the street intersection. Union members, churchgoers, Occupiers, students, and homeowners sat on the road together. I found myself arm-in-arm in the center of a circle of my 500 closest friends and comrades. After it became clear that the police were declining to intervene in such a large protest, we took a cue from the recently established Occupy Minnesota and began a “mic check.” Pissed-off homeowners, union members, preachers, and immigrants took up the cry. One homeowner, Sheronda Orridge, heard her voice echoed by the crowd: “They disrespecting us again!” “We have to do something about this!” “It doesn’t stop here.” “We won’t stop until they hear us.” The novelty of the mic check—Occupy Minnesota had just begun a week ago—gave the street blockade an added thrill. The thrill of being part of something bigger than the police can handle, of having successfully scared a multinational corporation into closing and locking its doors—these feelings were new for most people in the streets that day. But even for those of us who had been part of such protests before, we could tell something different was happening. The street occupation was the culmination of a week of action by Minnesotans for a Fair Economy. For a week in the fall of 2011, the Twin Cities were rocked by a series of community and labor protests against the 1%—the Minnesota capitalist class. That same week, by a happy coincidence, Occupy Wall Street had arrived in downtown Minneapolis in the form of an encampment at Government Plaza. Latino and African immigrants took over a Wells Fargo branch, closing their bank accounts to demand that Wells Fargo divest from for-profit prisons and stop supporting anti-immigrant politicians. Ministers held a vigil at a bridge calling for increased investment in Minnesota infrastructure, a particularly salient demand in the state, where a large bridge had collapsed a couple years prior. A coalition of churches released a report at a jam-packed church showing racial disparities in the foreclosure crisis. Young black people presented a report to the Minneapolis School Board demonstrating how US Bank and Wells Fargo foreclosures systematically defund the school system and called on the school board to divest from Wells Fargo. School support staff workers took over the lobby of a Wells Fargo branch and set up an impromptu school room, giving a lesson on how Wells Fargo puts profits over people. Nursing-home workers picketed outside one of their employers, calling for fair wages and benefits, and for the Minnesota 1% to pay their share to support the elderly in their community. All throughout the week, a series of bank lobby takeovers, leafletings, and other actions shook up banks and retailers throughout the Twin Cities. In the Twin Cities—Minneapolis and St. Paul—an extraordinary alignment of labor unions and community organizations has coalesced around an uncommon idea: instead of a limited partnership on a specific issue, seven people’s organizations have united together to take on the local capitalist class. MFE consists of two labor unions and five community organizations. The unions are the United Food and Commercial Workers 1189, which represents grocery-store employees and nursing-home workers, while the SEIU’s three Locals represent janitors, security officers, health-care workers, and school support staff. The community organizations are: Take Action Minnesota, a broad coalition of community members; El Centro de Trabajadores Unidos en Lucha (CTUL), a Latino workers center; Neighborhoods Organizing for Change (NOC), a community organization of low-income black people; and ISAIAH, a coalition of churches in the Twin Cities metro. Later, Occupy Homes, which emerged from the remains of Occupy Minnesota to organize homeowners fighting foreclosures, joined MFE. The coalition began in 2011, helped by an influx of funding from SEIU International. Around the country, SEIU International was funding a series of community partnerships in a project called Fight for a Fair Economy (FFE). In many cities, SEIU created new groups as a public face of the local fight for economic justice. In Minnesota, SEIU Locals instead partnered with already-existing community organizations. The guiding philosophy was different than with most coalitions (in fact, MFE does not call itself a coalition). Instead of agreeing to one common agenda around a common issue, each partner continued working on their own campaigns, with a boost of funding from FFE. The difference was that each campaign aligned the enemies of their campaigns to the local capitalist class in Minnesota; specifically US Bank, Target, and Wells Fargo. After all—my enemy’s enemy is my friend. These corporations collectively control much of the economy and politics of Minnesota, and preliminary research had already shown the connections between MFE campaigns and these companies. Some of the connections were obvious. SEIU Local 26, for example, organizes janitors and security officers that clean and protect commercial office properties. US Bank, Target, and Wells Fargo are three of the largest property owners in the Twin Cities. CTUL organizes janitors that clean Target stores and other retailers in the Twin Cities metro area. Occupy Homes and Neighborhoods Organizing for Change fought foreclosures that were largely caused by US Bank and Wells Fargo. Some of the connections were not so obvious. Minnesota has the worst black-white education gap in the country. How were these corporations responsible for the school funding crisis that hurts black children, whose parents are members of NOC and school support staff workers in SEIU Local 284? The connections became clearer with research. As families are evicted from their homes, there is a lower property tax base for local schools. Additionally, US Bank and Wells Fargo were part of a long-term campaign to decrease state income and corporate taxes, depriving schools statewide of funding. These banks then turned around and loaned money to the same school districts, earning interest off the loans. As it turned out, the increased concentration of capital that has been lamented as the downfall of the left created the very conditions for a new type of protest movement to develop. Almost all our issues, from gentrification to work conditions to the environment, are connected by the same set of interlocking corporations. MFE began with a series of meetings between the leaders of the various organizations. This was eased by already-existing relationships, both personal and organizational. Colleagues in all the organizations already worked together on projects, and various short-term coalitions had previously existed between many of the organizations. What formally cemented the coalition was the influx of funding from SEIU International. This funding was divvied up between the coalition partners to hire new organizers, and also paid for the creation of a “mobile team” of researchers, communicators, and political organizers to assist whichever campaign was hottest. This innovation proved key to the coalition. Each campaign was given the logistical help it needed for major protests and critical moments. Once the leadership of each organization committed to the coalition, a series of increasingly larger meetings took place between the memberships of each organization. A fascinating set of trainings and retreats ensued, where middle-class white people rubbed elbows for the first time with poor black people; Latino and African immigrants and English speakers struggled through language barriers to connect with one another; and churchgoers used to activism that looked more like charity learned what it is like for workers to go on strike and immigrants to risk deportation. In those initial retreats MFE employed a metaphor to describe our project: waves hitting even the strongest wall will eventually break it. Each wave does very little to the wall by itself, but over time the cumulative impact can destroy the strongest barrier. Generally, however, people were confused about the purpose of MFE. A general class war message had not gone mainstream yet—Occupy Wall Street had just taken off. All of the different organizations continued working on their same campaigns; MFE seemed like just another series of meetings. The BAT proved critical to MFE. It provided a sort of boot camp for direct action and for relationship building. We created a command system for the team that consisted of a “general” (I was general for that first week), then a set of captains that each led a team of ten-to-fifteen individuals. Every role was shadowed by someone less experienced, and every person had multiple opportunities to take on a leadership role in protests and meetings. Every week of action we organized increased our capacity to engage in militant direct action, providing an increasingly larger leadership cadre that could take on a variety of roles at protests. The week became a model for how the coalition cemented their partnership: in the streets solidarity. In a second week of action in 2012, this model of solidarity gained clarity in a confrontation with US Bank over a home foreclosure. The homeowner was a security officer who protected Target Corporation’s property and was organizing his workplace to join SEIU Local 26. Nearly one hundred members from all the different MFE organizations crowded into US Bank’s lobby chanting, and refused to leave until US Bank agreed to meet with the security officer and help him figure out how to stay in his home. For that security officer—who went on to become a leader in Occupy Homes and Local 26—and all of us in the crowd, our disparate campaigns against Target and US Bank became one campaign. A similar moment of clarity occurred on the last day of the week. Minnesota is home to a large Somali population and MFE partnered with Somali organizations to force banks to allow money to be sent to family members in Somalia. Only one bank in the state had allowed remittances to Somalia—but they stopped, claiming the security conditions set by the federal government were overly onerous. MFE partnered with mosques and Somali businesses demanding that US Bank and Wells Fargo allow them to send money to their loved ones. In a large march, hundreds of Somali community members stood side by side with union members and community members. The march ended with a peaceful blockade of the streets surrounding a US Bank building in downtown Minneapolis. For the Somali janitors who cleaned buildings owned by US Bank—the same bank which did not allow them to send money home to their families—and for all of us in the crowd, the fights of janitors and immigrants became one fight that day. During the week of action, formally abstract principles became concrete solidarity. It was clear that workers fighting for their jobs, homeowners for their homes, immigrants for their families—these were not separate fights. They were just different faces of the same fight. We just had not realized it before. We all recreate the hegemony of capitalism; our daily acts recreate the norms of individualism, competition, and consumerism. Hegemony is reinforced by institutions all around us: the media, politicians, churches, and labor unions. Gramsci presented a potential way out of this with his war of position, in which anti-capitalists engage in the day-to-day work of organizing but also have one eye on something bigger. They are striving constantly to build institutions that create a new set of norms for oppressed classes and undermine the hegemony of capitalism. That possibility exists all around us. Hegemony can be reinforced or undermined by churches, schools, labor unions, government bureaucracies, and so on. Where hegemony exists, it is backed up by a whole configuration of civil society organizations—part of a historic bloc. Counter-hegemonic historic blocs can arise when oppressed classes band together. MFE has the potential to be a historic bloc engaged in a counter-hegemonic process. After each week of action, members of MFE organizations spoke to the powerful transformations they felt after directly confronting power. Members gained concrete skills like action planning and organizing skills, and gained new confidence in themselves as leaders in their organizations and the coalition. These leaders—Gramsci would have called them organic intellectuals—play an increasingly big role in MFE. A whole new cadre of leadership in every organization has come out of MFE’s work. Counter-hegemony is not a thing. It is a process that begins with moments of rebellion like a week of action. But if that is where it ends, it reinforces capitalist hegemony. 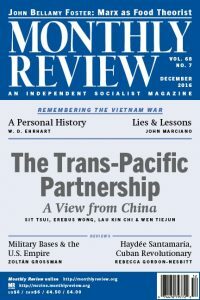 Witness the business unionism of the 1950s that arose from the labor rebellions of the 1930s; and what could be termed “business community organizing”—that Saul Alinsky championed arising from the welfare and civil rights uprisings of the 1940s and ’50, which has now come to dominate non-labor organizing. What allows the counter-hegemonic process to transform into something new, with revolutionary potential, is political education. Revolutionary organizations around the world, like the Landless Peasants Movement in Brazil, employ political education in their day-to-day organizing. But such work is rare in the United States and limited to the fringes of the organizing world. Efforts at political education inside MFE have been limited generally to teaching members the skills of organizing—important work, but not capable of creating counter-hegemony. Occupy penetrated the bubble of silence created by capitalist hegemony and brought class analysis into the mainstream dialogue—the “99% versus the 1%” is now a common phrase. But Occupy did not constitute a historic bloc. MFE, with organizations representing several oppressed classes (black, white and Latino, immigrants and citizens, workers and unemployed), has the potential to be the basis of such a new historic bloc. 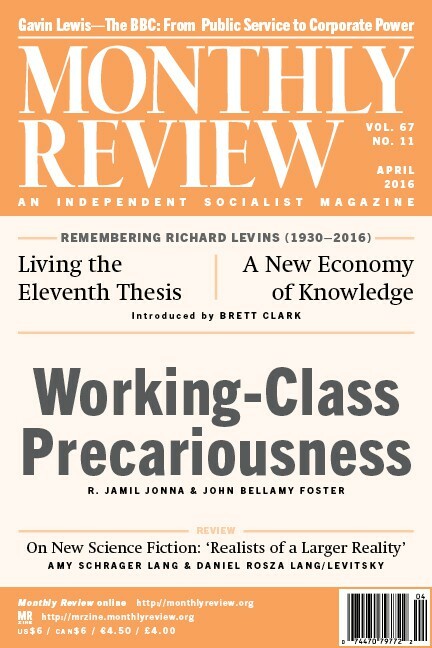 Still as long as its organizing efforts are limited to the sum of its parts, it will remain what it is now—an exciting, dynamic effort to change the lived experiences of workers under capitalism, which is certainly necessary in the world today, but an effort that ultimately reinforces the system it fights. MFE has racked up an impressive number of wins. Multiple homeowners have saved their homes. Thousands of union members have won new contracts. Non-union workers have won pay raises. The Minneapolis school board divested from US Bank. Somali immigrants have won the right to send money home. We also learned an important lesson: fighting militant public campaigns against corporations can produce legislative victories. In 2012, the Minnesota state legislature passed “ban the box” legislation, making it illegal for employers in Minnesota to ask job applicants if they have a felony on their record. This victory came after Take Action Minnesota ran a year-long campaign demanding that Target ban the box on their job applications. The state legislature also passed a Homeowners Bill of Rights after a particularly militant campaign by Occupy Homes provided the outside pressure to supplement lobbying by other MFE groups and others. They broke through bank control of a key committee that had impeded progress in the past. The same dynamic—using an anti-corporate message to drive political victories—was seen in the 2012 election cycle. Conservative forces pushed to get two ballot initiatives on the ballot. One was to constitutionally ban gay marriage, the other to institute a “Voter ID” law that would require citizens to present a photo ID in order to vote. A strong coalition quickly mobilized to vote down the anti-gay initiative, but most of the liberal political class of Minnesota wrote off the Voter ID amendment as impossible to beat; initial polling showed 80 percent support for the amendment. Personally, I left my position at SEIU Local 26 in 2013 partially to have more intellectual space to explore these questions. I remember one particularly salient moment that crystallized how counter-hegemonic action could play itself out in theoretically informed practice. In the second week of action, after having been part of Occupy Minnesota, where capitalism and various modes of anti-capitalism were publicly debated, I led a training at the week of action looking at how our entire economic system—capitalism—underpins all the issues we were fighting against. I remember how refreshing it felt to discuss capitalism with a group of rank-and-file union members and community members—a space where we normally avoided discussing capitalism. I also remember how well received it was by the crowd. As it turned out, members of all the organizations are craving an analysis that describes, not just how our issues are connected, but why. That dynamic between Occupy and MFE—of Occupy pushing a left analysis and MFE providing the on-the-ground fight—has proved fruitful, though often fraught with tensions. During the first week of action in 2011, the specter of Occupy added weight to the concrete demands of MFE. Likewise, the inchoate cries of Occupy were given substance by the demands and loaned infrastructure from MFE. The question of how to build counter-hegemony within institutions inclined to furthering hegemony is not an easy one. Since I left SEIU, MFE has created a “popular education table” to further the use of popular education inside the various MFE organizations. An MFE delegation also visited Brazil in 2013 to meet with people’s organizations that use popular education. MFE has thus far proven most successful at driving theory forward with practice, with the weeks of action providing the most fruitful space for creating a shared analysis. It remains to be seen what its efforts to meld theory and practice—praxis—will result in. But for those of us interested in creating an anti-capitalist left built upon mass-based organizations, it is an effort worth watching. ↩Corey Mitchell, “Spotlight Shines on Foreclosure’s Ripple Effects,” Star Tribune , October 10, 2011, http://startribune.com. ↩TakeAction Minnesota, “The 1% vs. Democracy in Minnesota: Following the Money Behind the Photo ID Amendment,” February 2012, http://mnfaireconomy.org.